“GAME OVER” | Travel Smart! 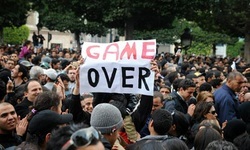 Tunisians are now fighting against extremism, poverty, ignorance. And, they will win !